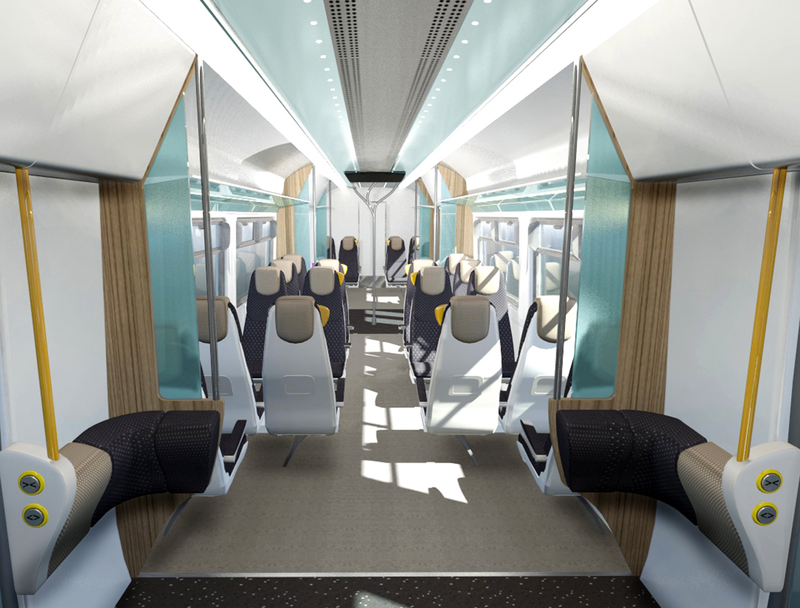 A set of interior concepts have been produced by dg8 to illustrate the versatility of the Class 150 fleet. 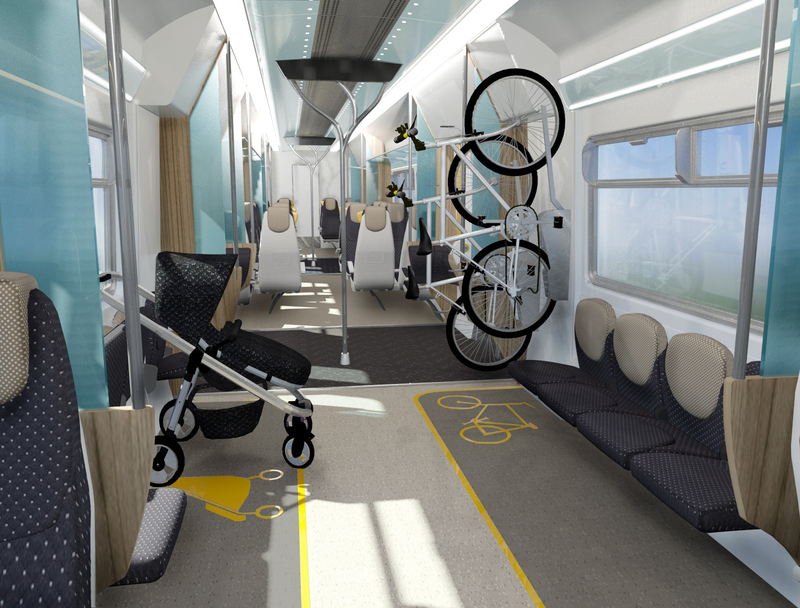 A new ‘metro’ style interior was designed to comply with the latest PRM-TSI guidelines. 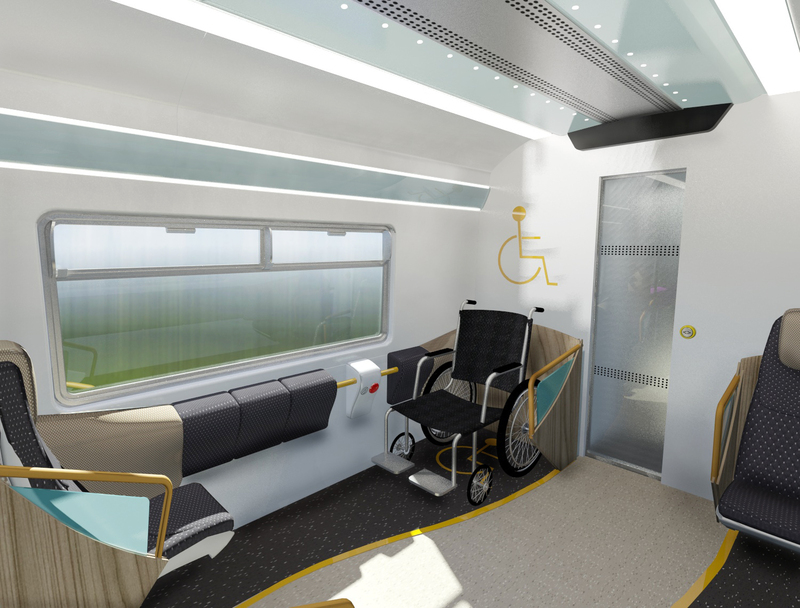 New layouts incorporating wheelchair spaces and a fully compliant Universal Access toilet were produced. 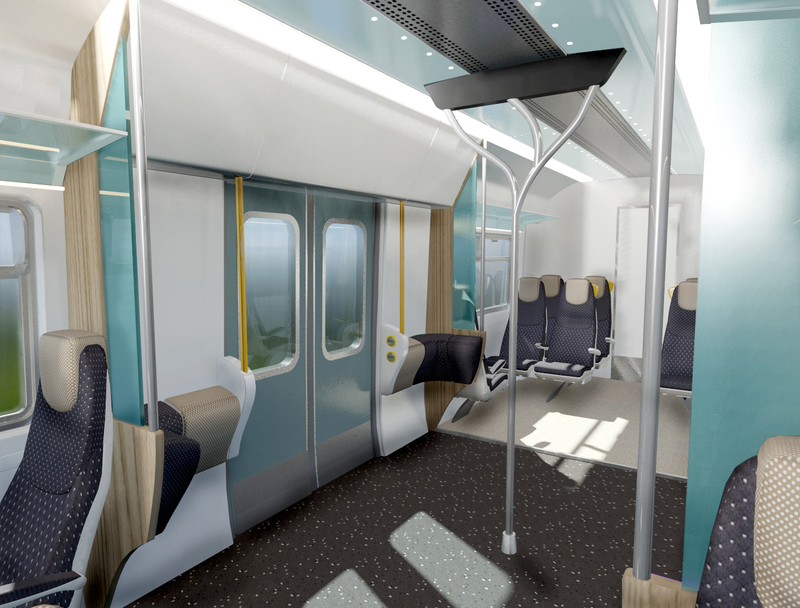 Wider vestibules with integrated perch seating and narrow draught screens increase the access/egress of passengers, decreasing ‘down’ time at stations/stops. All new refreshed seating, lighting, luggage racks and passenger information systems have been explored to align the vehicle interior with the modern day passenger needs and expectations.